As fans tuned in to the Women's Six Man tag team main event on the December 18th edition of Monday Night Raw, very little in the way of strong booking was evident in the match. As the six ladies competed in a fury of unimaginative holds and a complete lack of storytelling, it has become more and more apparent with every week that the WWE creative team has been given very little direction for long term booking especially with regards to the arrival of Absolution. The stable was brought in to reintroduce Paige to the WWE Universe and to call up NXT talent in the hopes of freshening up the Women's division. Along with Absolution, the Riot Squad has been on the hunt on Smackdown Live with Ruby Riot bringing her posse to each town looking to dismantle the Smackdown Women's division as well. On the surface it seemed as though this was to be taken at face value but with the constant use of 10 women in each week's women's segments and the locker rooms on both brands rushing the ring repeatedly, it became clear that these call ups were for another purpose all together. They were here to bolster the first ever Women's Royal Rumble. Could WWE have waited to call up the NXT talent and had them debut on the Pay Per View instead? Probably. However, the lack of planning and the revelation that the decision to make the announcement was made late in the day on Monday and that only a few select insiders knew about the concept only contribute to the clear lack of thought that has been put into these angles. With all of the uncertainty in WWE right now, it seems only logical to start to think ahead and figure out how this will all play out. WWE needs to figure out how to book this thing. First of all, how many women will be participating? They didn't have Stephanie McMahon announce a 30 Women Royal Rumble which leads me to believe that they have yet to decide on how many will participate. Would it be better to have current talents like Lana and Dana Brooke compete despite knowing they have little to no fan appreciation, cannot possibly win, and are taking a spot from either a more deserving NXT call up or from a surprise entrant which has become the most exciting part of previous Rumbles? Would the ladies conform to the 2 minute rule for entrants or would WWE be better served having the ladies come out every 60 seconds? If we have 20 women, which has been theorized by Wrestling News World then it limits participants and does not leave much room for surprises. The Dirty Sheets report that WWE has discussed both options but are leaning towards the standard 30 women which would be beneficial in many ways including allowing some NXT women to participate while opening the door for surprises including Beth Phoenix, Lita, Michelle McCool, Trish Stratus, and possibly even the much anticipated debut of Ronda Rousey. WWE is faced with a monumental task. How do you book this match to allow talents from potentially 3 brands (Raw, Smackdown Live, and NXT) to shine without hurting the momentum that any of them have established while further promoting your desired future feuds? For example, how do you book Ember Moon, the current NXT Women's Champion? Is she in a position to go toe to toe with Nia Jax in the Rumble? If you bring in a talent like Ronda Rousey, does she automatically win? If so, what does that say about the rest of your women's division? How strong would you book the returning legends? Does Trish still have it? If she does, how do you book her strong without squashing newer talent which has been the complaint about part timers in the past? Do you have brands fight along imaginary Red and Blue Lines? Do you have new alliances form? Who gets the fastest elimination? Who is the unstoppable force who gets the record for the most women's Royal Rumble eliminations? Ember Moon goes toe to toe with Tamina and takes her out leading to Nia Jax confronting her. After a short exchange, Nia gets the better and eliminates her keeping both women strong. To book the legends, have them eliminate each other to avoid any impact on the reputations of the current roster. 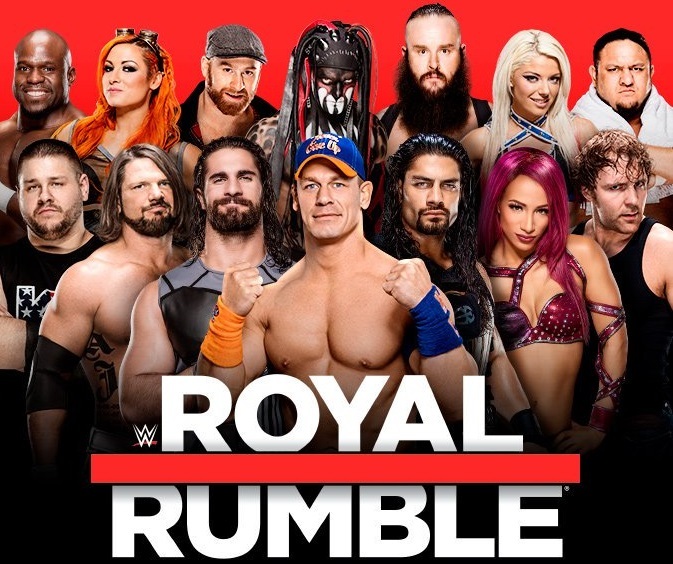 Brands mean nothing in the Royal Rumble so don't book anything of the sort. In fact, I would have the 4 Horsewomen of WWE protect each other to build the bond ahead of any potential match with the MMA Horsewomen. There is no need for new alliances as we already have 2 new ones to concern ourselves with on both Raw and Smackdown Live already. New Matchups - I want to see Trish Stratus face off with Natalya. I want to see Charlotte battle the debuting Tessa Blanchard. I would love to see Nia Jax and Tamina come together and help launch new WWE Women's Tag Team Championships...OK...now I am getting too far ahead of myself. In the End, Who Wins It All? After much deliberation, I can rationalize several outcomes. Nia Jax is huge and tough and in the end, will get the big guy treatment and have 8 girls team up on her and eliminate her. None of the legends can win it as they are all one-off appearances. There is some conversation about Peyton Royce using the match as a way to come to the main roster and choose which women's title to challenge for but that won't happen. You could have Paige win it as a way to give her the Women's Title at WrestleMania but that would require her to either turn face and beat Alexa Bliss, have Alexa Bliss turn face and lose the title, or have another talent take the title before Mania which could be Asuka but then Paige would have to end Asuka's streak and I don't see that happening. Many speculate that a surprise Ronda Rousey entrance would give her the win and she would go on to face either Charlotte or Asuka for one of the Women's Championships. This seems plausible but with WWE hoping for a Horsewomen vs Horsewomen match, that seems unlikely. It was reported today that the backstage conversations are focusing on Asuka winning and going on to face Paige at Mania. This actually seems to be the most likely and one of the safer booking plans. If frees up Charlotte for the team match. It allows Rousey to remain outside the title picture. 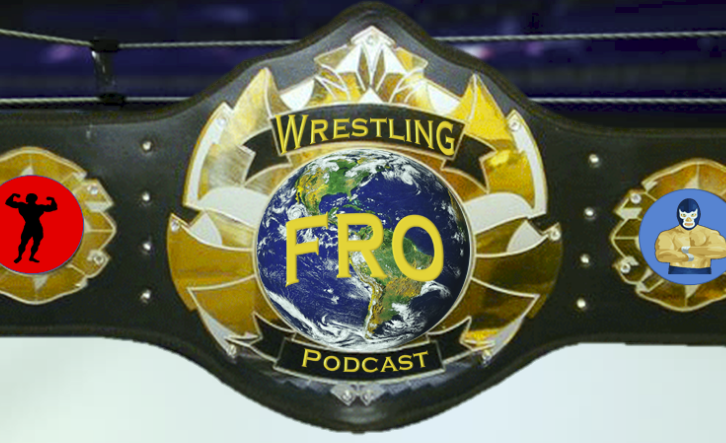 It protects the division from looking inferior to a debuting star or a returning legend. Most of all, it furthers the limited creative plans that we have seen teased for the last couple weeks with regards to Asuka and Paige. This is the option I see them going with. As for my own preference, I would have Nia Jax run through all of the 2nd and 3rd tier talent to give her the elimination record. As for the legends, I am in favor of them putting on a great show as that is what fans expect. They wouldn't be known as Legends if they couldn't hang with the best of them. I would book the 4 Horsewomen vs 4 Horsewomen to face off as all 4 of the MMA faction debuting and in the end eliminating each other's members until it was down to Charlotte and Ronda who would simultaneously eliminate each other. I would give the win to Asuka. This would lead to Paige defeating Alexa Bliss ahead of WrestleMania and going on to face Asuka where she would lose the Championship to Asuka. How would you book it? Add your comments below!